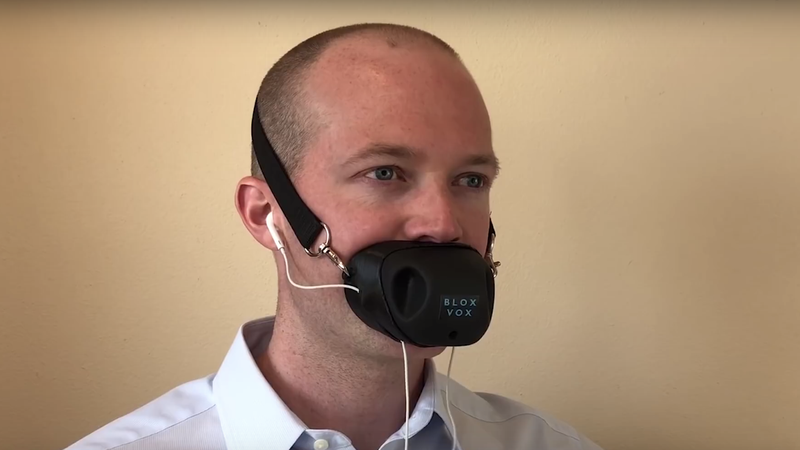 Recently launched on Kickstarter, Bloxvox has already received more than $1,000 in funding in just one day—likely acquired through a stock market heist that doesn’t make any goddamn sense—and is projected to reach its goal of $25,000 to create a Bane mask for private phone calls. If you insist upon taking Bloxvox seriously, here’s what you need to know about it: its described by creator Greg Umhoefer as a “voice privacy tool.” Wear it around your general mouth region and it will block sound from escaping and falling on the ears of your coworkers of other people nearby. It is compatible with most headphones and allows you to tuck your microphone into a little slot within the box. There’s also a little hole in the front to let you breathe so you don’t pass out mid-conversation, so that’s a nice feature. “Early bird” backers of Bloxvox can—theoritically, assuming it is funded and actually produced—get the device for $50. Pledge $3,000 and you’ll get 100 of them, making them just $30 a pop. Umhoefer told BizTimes that the aim is to keep the retail price below $100. That is a question that I would be surprised to learn has been asked multiple times (there are no comments on the Kickstarter page yet), let alone “frequently,” and certainly does not require a thoughtful answer about the significance of the color of audio tools, but sure! Don’t worry, they promise more colors will be available in the future. Somewhat amazingly, Bloxvox isn’t the first to enter the arena of making people look like horses with feedbags on their face while having phone conversations. 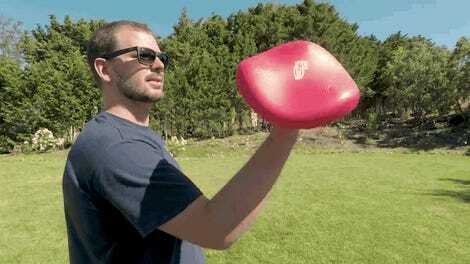 A similar invention, called Hushme, hit crowdfunding sites last year. It managed to raise more than $70,000 from Kickstarter just months after netting $41,000 from IndieGoGo but is yet to actually ship.